Have you ever wondered how an athlete (specifically, a soccer player) is able to run around for 90 minutes, get injured, fouled, tackled and much more – and, in less than a week, is able to enter the field, fresh as a daisy? This question bugged me as I was trying to take a break from sports and enjoy some online bingo, so I decided to look it up. As it turns out, it’s not as simple as it seems. 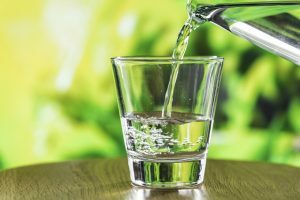 Sadly, this is one of those things everyone should pay attention to, but we rarely do, since someone telling you to drink more water comes off as plain weird. However, in everyday life, and especially in the process of athletic recovery, it is vital to stay properly hydrated. After all, the body of an average soccer player goes through a lot during a game, and to help it bounce back, they drink a lot of water and abstain from alcohol and other drinks that are known for their diuretic properties. Don’t let the Coke and Pepsi commercials fool you – real athletes seldom drink the stuff. To return the body into its optimal state, it is necessary to rest. Proper rest allows the body to start working on rebuilding the damaged parts like muscle tears, as well as heal bruises and so on. Muscle mass loss is the bane of many an athlete, and soccer players are no exception. One of the factors in this is resting because the muscles have no way to grow without it. Speaking of muscle mass, there is the subject of eating what’s good and ignoring what’s bad. An occasional burger or hot dog is fine, but we need to emphasize the word “occasional”. Soccer players follow a strict diet that’s heavy on the protein, which is essential for muscle growth. 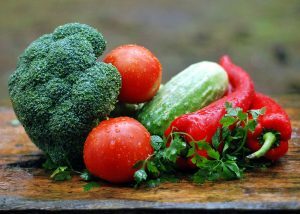 Veggies, save for ones with empty calories, are what’s needed to keep the body supplied with vitamins, minerals, and fiber. Magnesium is a nifty trick used by soccer players, as it prevents one from experiencing fatigue, and allows faster recovery. You can find it in dark leafy greens, so, if you are an aspiring soccer player, make like Popeye and eat that spinach. You may have seen it in the movies, or perhaps your buddy shared this secret with you. Soccer players use ice and/or cold showers. This boosts testosterone, helps them fall asleep faster, reduces their need for sleep, as well as muscle soreness. The idea is to immerse yourself into an ice bath or do something to that effect. However, there is no denying that this is one of the least pleasurable techniques for quickly becoming refreshed. You might think that soccer players just run on the field. In other words, that they focus on nothing but cardio and their technique. This is actually not the case, as they focus on developing their entire bodies to handle the stress of repeatedly playing long matches. To do that, cardio and calisthenics aren’t enough – this is where stretching comes in. Any proper trainer or coach will tell you that you need to stretch both before and after a workout. It’s necessary not only to help you limber up during the physically stressful period, like a workout of a soccer match but also to allow your body to maintain its mobility even when you’re not at your best.